Mr. William Herbert “Herb” Edwards, Jr., 91, beloved companion and best friend of Nora Marie Turcol for more than 50 years and a resident of Parksley, VA, passed away peacefully on Tuesday, November 20, 2018. Born June 17, 1927 in Plains, VA, he was the son of the late William Herbert Edwards and Ethel Jefferies Edwards. Herb was a well-known and highly regarded thoroughbred horse trainer and spent decades conditioning some of the finest pedigrees on the east coast. For most of his career, he managed a thoroughbred farm in New Jersey. Among his many talents, Herb enjoyed woodworking in his spare time and always looked forward to sharing his projects with family and friends. 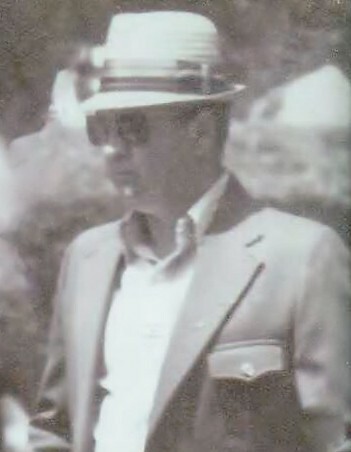 In addition to Nora, he is survived by his daughter, Sharon Hancock of Pensacola, FL; stepchildren, Angela Morrison, Tina Cole, and Francis Turcol; and several grandchildren, great-grandchildren, nieces, and nephews; and their families. Other than his parents, he was predeceased by his wife, Barbara Ann Edwards; daughter, Donna Lynn Neff; son, Barry Thompson Edwards; and sister, Betty Jean Lam. Funeral services will be conducted from the graveside at the Rockland Cemetery on Saturday, November 24, 2018 at 2:00 p.m. In lieu of flowers, memorial contributions may be made to the American Cancer Society, P.O. Box 22478, Oklahoma City, OK 73123 (www.cancer.org/donate). Arrangements by the Williams-Parksley Funeral Home.